Food Civil Supplies & Consumer Affairs Department, Tripura Recruitment 2017- SI, Fumigation Asstt. & Jr. Store Keeper vacancies. - Jobs4NE : Jobs in Assam and North East India. 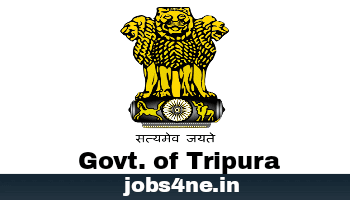 Food Civil Supplies & Consumer Affairs Department, Tripura Recruitment 2017- SI, Fumigation Asstt. & Jr. Store Keeper vacancies. Food Civil Supplies & Consumer Affairs Department, Tripura invites applications from eligible candidates for recruitment of 22 Nos. Sub-Inspector, Fumigation Assistant & Jr. Store Keeper vacancies. Total no. of Posts: 22 Nos. 2. Fumigation Assistant: 03 Nos. 3. Jr Store Keeper: 13 Nos. Age Limit: As on 01-06-2017, Candidates age should be between 18 to 40 years of age. Upper age relaxation for selected categories is admissible as per Govt. rules. 1. Sub-Inspector: Graduate from a recognised university/ Institution. 2. Fumigation Assistant: HS (Science) passed with Biology subject. 3. Jr Store Keeper: HS passed with Math subject OR HS in Commerce. 1. Sub-Inspector: Rs. 5700- 24000/- + GP Rs. 2800/-. 2. Fumigation Assistant: Rs. 5700- 24000/- + GP Rs. 2800/-. 3. Jr Store Keeper: Rs. 5700- 24000/- + GP Rs. 2200/-..
How to Apply: Interested candidates may send their fully filled up application form along with copies of all necessary documents to Food, Civil Supplies & Consumer Affairs Department, Tripura. For more details on this recruitment, please download the advertisement details from below.